Sideshow and Hot Toys are excited to present T’Challa’s departed father, T’Chaka in Sixth Scale Collectible Figure from Black Panther. 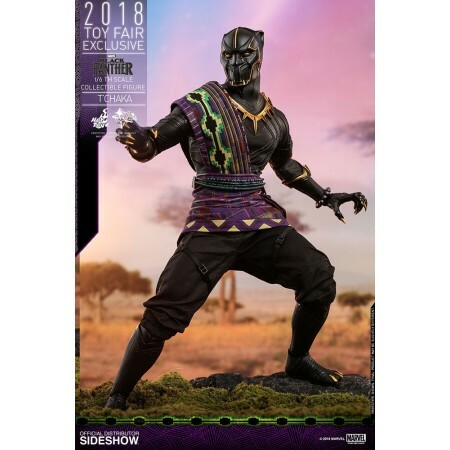 The movie accurate collectible figure is specially crafted based on the image of young T’Chaka in his Black Panther suit from the movie featuring a newly developed helmeted head with highly detailed textures and gold trims. 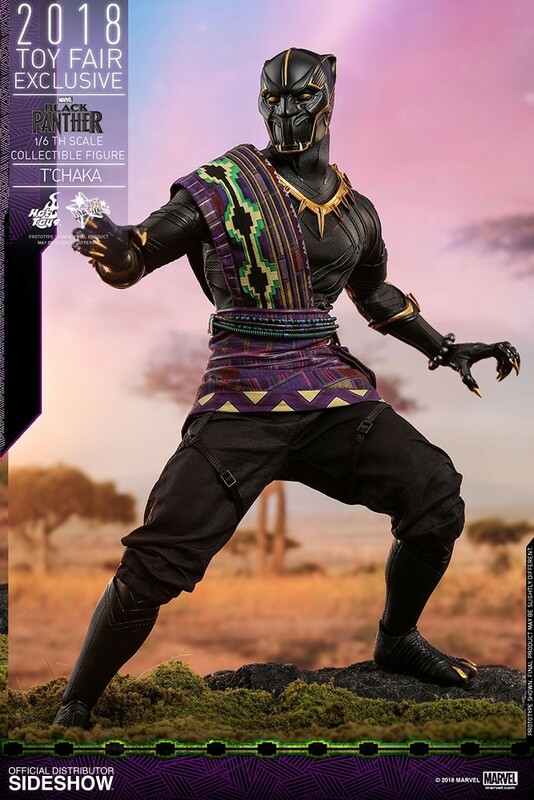 This figure specially features a muscular body, a meticulously tailored black and gold colored battle suit with extreme fine details and textures, a beautifully designed Wakandan pattern sash decorated with a waistlet, a fine Kimoyo Beads bracelet and a Black Panther themed figure stand!